The development team for Skyrim was the biggest for any Bethesda game so far. In episode six of the Bethesda Podcast, Todd Howard stated that while Fallout 3 had around 70 people working on it, Skyrim saw the team increase to roughly 100. 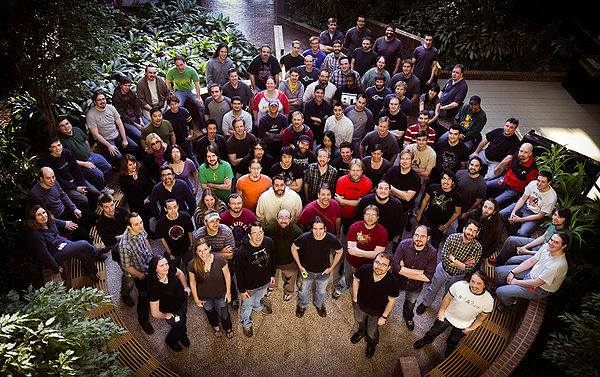 On February 24, 2011, a picture of the team was released as part of a general update to elderscrolls.com. It contained pictures of 90 people from the team. This page was last modified on 26 June 2015, at 04:49.